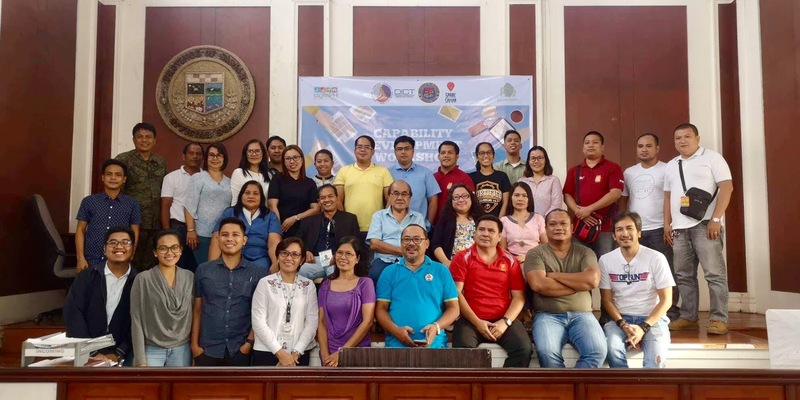 The Provincial Government of Samar, through the Project Monitoring Office and the Provincial Investment and Trade Promotions Office, hosted a Capability Development Workshop for the newly-created Spark Samar Information and Communications Technology (ICT) Council last September 3, 2018, in Catbalogan City. This project was initiated by the Department of Information and Communications Technology (DICT) in preparation for the implementation of the Rural Impact Sourcing and other ICT programs in the Province of Samar. This activity aims to bring together and capacitate the province’s key ICT industry players in order to push achieve the government’s goal of making Samar the next ICT hub in the country. The body is composed of representatives from the national and local government, academe and business sector. Dr. Mario Quijano, Provincial Administrator of Samar, addressing the workshop attendees, emphasized the goal of the province to embrace ICT as a tool to promote economic development, and generate jobs and investments for Samar. With the available talent supply of Samar, and the cooperation of all stakeholders, bolstered by the support of the provincial government, Quijano hopes to see the council help generate jobs within the province. ICT countryside advocate Jocelle Batapa-Sigue, co-founder, past president and current vice president of the National ICT Confederation of the Philippines (NICP) served as main resource speaker and facilitator. Batapa-Sigue highlighted the need for unity to create a digital Philippine countryside powered by Filipino talent with Future of Work skills to push the Philippines among the world’s most future-ready nations for the Fourth Industrial Revolution. Officers and members of the ICT council include the provincial governor and vice governor, Sangguniang Panlalawigan Committee on Infrastructure and Investment, provincial Sangguniang Kabataan (SK) Federation President, provincial department heads, representatives from DICT, Department of Trade and Industry, Department of Science and Technology (DOST), state universities and private colleges, Samar Chamber of Commerce and Industry, telecommunication companies, electric cooperatives in the area, law enforcement agencies, private sector business and local government units within the province. Spark Samar started in 2015 as a tourism branding for the province but recently the desire to for innovation and job generation inspired the local stakeholders to bring the branding to the next level. Batapa-Sigue stressed on the anchor initiative of NICP, now recognized nationally, the creation of ICT councils, an organizational model that brings together movers and key decision makers from the public or government sector (local or national line agencies), academe and human resource, and private or business and industry sector. The aim is to provide a platform to set directions to position their respective communities as strategic locations for ICT-enabled jobs and investments. NICP was founded in 2008 to serve as a convergence of ICT councils all over the Philippines, representing the stakeholders in their respective geographical locations such as regions, provinces, cities, and municipalities.